Staying away in his own world, he found himself at the epicenter of global events on another planet. 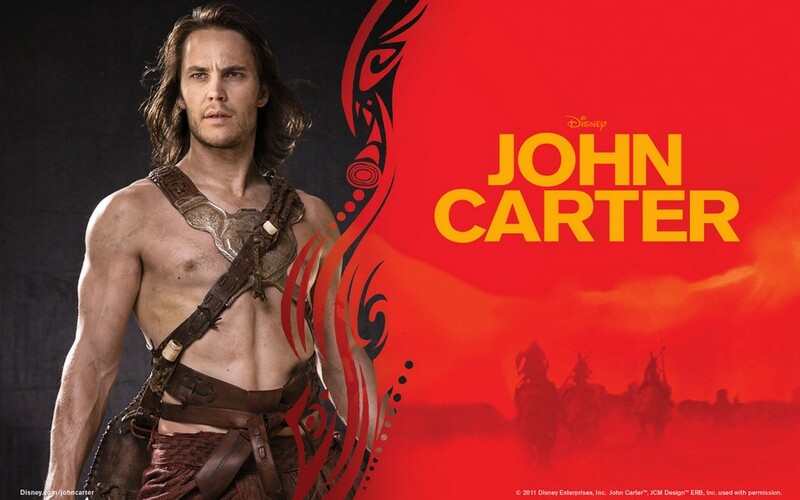 John Carter of Earth,he is betrothed princess of Mars. What useful can be found in this simple adaptation of Disney?! Why «Princess of Mars» ?! Because in 1912, Edgar Burroughs, author of the famous «Tarzan», published a novel with this title. 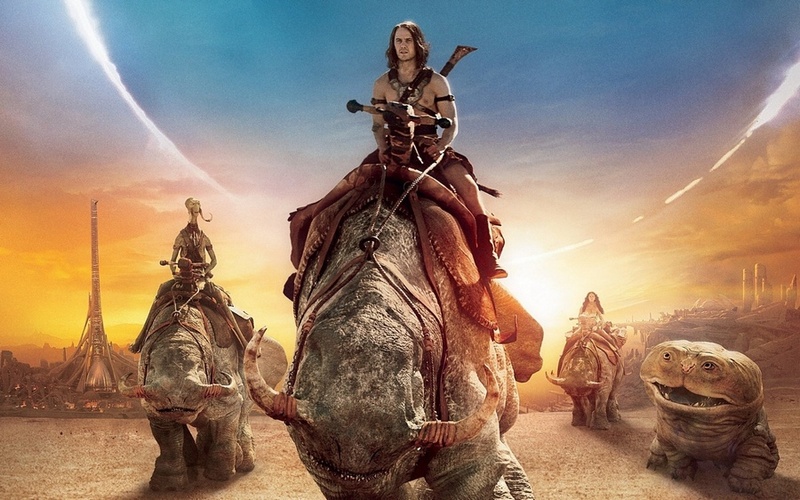 Several times the book filmed, and «John Carter» is the latest version of the film adaptation. From the outset, the film gradually introduces us to the main character. John Carter – a convinced deserter: while the gallant cavalry captured the North American continent, he is busy searching for the treasure. Completely disappointed in any ideals he seeks simply to get rich and to arrange his life. Individualism Carter, perhaps even understandable, given what purposes adhere to his former colleagues, freeing the land from the Indians of America. As a result of randomness protagonist finds a mysterious artifact that against his will brings it to Mars. It turns out that the «red planet» has a developed civilization with its centuries-old history. Exhausted by long wars, a planet is on the brink of the last devastating war. For the power in this world are fighting two states humanoids ( completely identical with humans ). By the side of conflict remains the third force, the primitive communal many-armed race -Tark. As the story progresses Carter trying to return home, but he has to be involved in political events on Mars and try to stop the extermination of the people by the people. In principle, all this quite banal. However, there are several things that greatly enrich the concept of the film. Many of people are used to argue that all wars and conflicts arise by themselves. As if the one group «offended boys» decided to beat a group of other «offended boys», and casually destroys whole nations and civilizations. So, probably, think and our hero, but as soon as he takes part in the battle for Mars he is immediately faced with a hidden strength. He discovers that all the conflicts in the world run some Tarns, powerful beings, doomed to immortality, playing with live creatures as they please. They are cynical and absolutely do not believe in the development of intelligence in the lower civilizations. This Tarns themselves hamper technological progress in the peace way. Those powerful beings defies simple man – the protagonist. The second important aspect – the position of the protagonist throughout the film. At the beginning of the story, we see the character of a typical adventure film – is an adventurer, a rather cynical, clever and cunning. How many movies of this kind can be found? Dozens of, and in the end the hero of the story remains the same staunch adventurer, such as Jack Sparrow, Indiana Jones, the main character from the «Guardians of the Galaxy», and the list goes on and on. However, John Carter is not this case. Almost immediately, we learn that the cause of inner detachment was the personal tragedies that happened with him not so long ago. But he having developed sense of justice, his actions begin to manifest itself differently than on Earth. On the one hand, to the actions prompts falling in love with the princess Dejah Torres, on the other – the discovery that the unfortunate people are manipulate arrogant bastards, albeit with supernatural powers. What can we learn from this film? Next Steps Carter describe him as a passionary, who can inspire and unite whole nations for the common good. And at the end of the film we see a strong man purposeful, capable to outwit even the demigods. Is it similar to that of the original spineless adventurer ?! In addition, the film vividly drawn not less instructive images: unaccountable puppet tyrants; Science as an extension of nature (the application of the special properties of sunlight); urbanization – as the depletion of the planet’s resources (for example, self-propelled Zadangi city); the unity of the global targets, despite racial differences and traditions (for example, many-armed Tark, to intervene in the settlement of the military conflict). And under a simple shell, it turns out, is hidden a lot of useful for the thinking person. present in large quantities. Blood is practically no on Mars all beings have blue blood, a fairly common solution for movies with teen audience. None, although the princess of Mars had sometimes quite frank outfits. There’s one scene in which alcohol use negative characters. The bright shell of the film served an attractive image of the hero. With its special qualities on Mars, the main character, even after returning to their own world, manages to outwit the powerful opponents. He is willing to stand up for his beloved and reconciled whole peoples for the common good. I believe that the main character is a positive example for the younger youth and is able to inspire even the mature men on exploits of who have fallen into despair.